Brownie mix I used Betty Crocker Supreme Triple Chunk. 3 cups chocolate crispy rice cereal I used Cocoa Pebbles. Start by making an 8×8 inch pan of brownies. You can use store bought or homemade brownies. 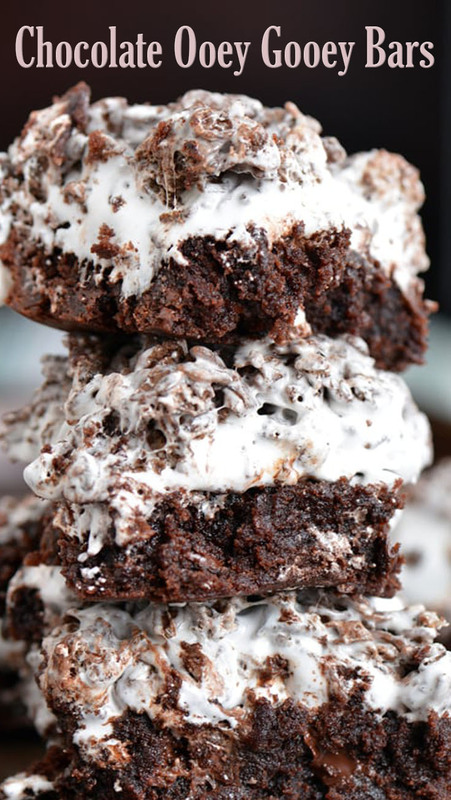 Remove the brownies from the oven and put spoonfuls of the marshmallow cream on top. Allow the marshmallow cream to heat and spread out on its own. For the top layer, microwave butter for 20 seconds in a large bowl, until melted. Add mini marshmallows and stir to coat. Carefully spread the marshmallow cream out evenly. Allow the bars to cool and set before cutting them into squares. These Chocolate Ooey Gooey Bars spread once they are cut, so you might want to wait to cut them until right before serving.